I have been practicing Tai chi & Qi gong for over 20 years and have been working as a full time acupuncturist for nearly 12 years. When I was 17 my mum began studying Shiatsu, and I began to have treatment and read her many books on Chinese philosophy and medicine. By the time I was 21 I had begun to practice Qi gong, and then joined a Tai chi class. From that point I knew I would study Chinese medicine and practice acupuncture. I knew I had found a way of being and understanding the world and the human condition that made perfect sense to me.
. Tai chi & Qi gong are methods for tuning in to the wisdom of the universe, and the wisdom of yourself. They are methods of cultivating your self and aligning your inner universe with the outer world. This process has been a profound experience and has provided me with many skills and abilities that translate directly into my acupuncture practice. The two are inseparable. In 2004 I began studying for my BSc Honours degree in Traditional Chinese Medicine: Acupuncture, and graduated in 2007 from the University of Westminster. I have been in continuous full time practice for nearly 12 years, mostly in Sussex. 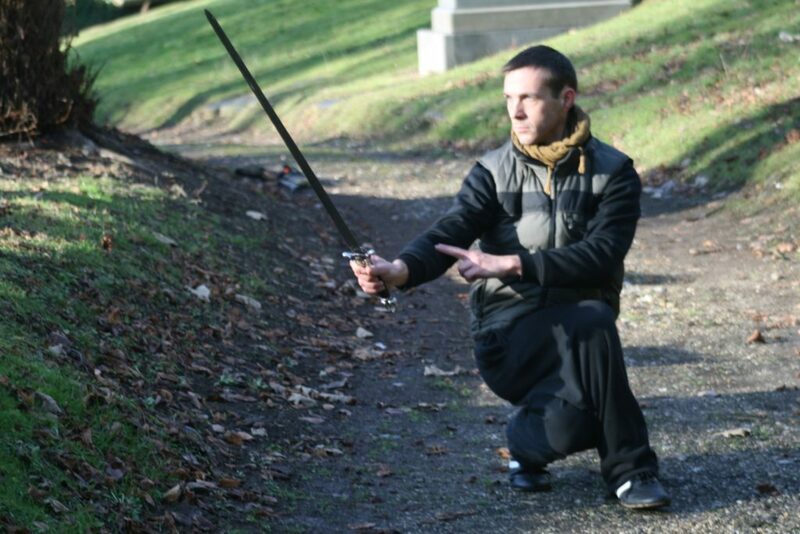 In 2005 I began studying Wu style Tai ji Quan & Qi gong with Michael Acton. He is a disciple of Dr Li Li Qun a close disciple of grandmaster Ma Yeuh Liang and Wu Ying Hua, lineage holders of the Wu family Tai chi. Dr Li was also a high level Qi gong doctor from Shanghai. With Michael I had finally found a true teacher. One that could demonstrate and pass on all the knowledge of Tai chi as a martial art as well as all the intricacies of Qi gong and meditation as methods of health preservation and self cultivation. In 2012 I became a 6th generation Disciple of Wu family Tai chi, and have been teaching Tai chi & Qi gong in Sussex for the last 10 years. Also since 2012 I have been studying Classical Chinese Medicine under Taoist priest and master Jeffery Yuen. Here I have also found a true teacher, someone that understands Chinese medicine at its deepest and most profound level. With him my ability to understand the human condition in wellness and in disease has increased exponentially. My clinical results and my ability to work with complex conditions continues to increase as the years go by. I am truly blessed to be living this life and connected to the Taoist path with such amazing teachers. I currently practice acupuncture in Seaford, Hassocks and Hove and teach Tai chi & Qi gong in Seaford, Hassocks and Lewes.